Cycling fans can begin plotting their roadside viewing points along the 2018 Amgen Tour of California route, announced this week by AEG, owner and presenter of the 13th annual race. America’s premier pro rood race will cover 645 miles of roadways, highways and coastlines during seven stages from Long Beach to Sacramento, May 13-19. The Amgen Tour of California Women’s Race empowered by SRAM, showcases the world’s best women cyclists, and will run concurrently May 17-19, covering upward of 187 miles over three stages. Here’s a full video breakdown of each stage of the men’s race. Known for epic sprinter showdowns, three of the sport’s greatest are confirmed to race this year: Mark Cavendish (Team Dimension Data), Marcel Kittel (Team KATUSHA ALPECIN), and Peter Sagan (BORA-hansgrohe). Sagan is also cycling’s first three-time consecutive World Champion, and he holds the California race record for most stage wins (16). Sagan, who recently won his 2018 season opener, will come into the Amgen Tour of California defending his seventh California Green Jersey for dominating the race’s overall Sprint competition. “Building up to the Tour de France with a strong performance at the Amgen Tour of California is always an important goal. The race is one of my favorite competitions every year – always challenging competition and such beautiful scenery – and I’m excited to return and try for more stage wins this year,” said Sagan. “I’m excited about the season ahead and will be working hard to make the 2018 season a hugely successful one. The Amgen Tour of California has always been an incredibly special race for me, and will once again be a priority in my race calendar this year in the lead-up to the Tour de France,” added race veteran Mark Cavendish, who with 30 Tour de France stage wins is approaching the all-time record (34). With seven new courses between them, the annual professional cycling events are the only U.S. races on the UCI WorldTour calendar and attract some of the most renowned cyclists and teams in the world. 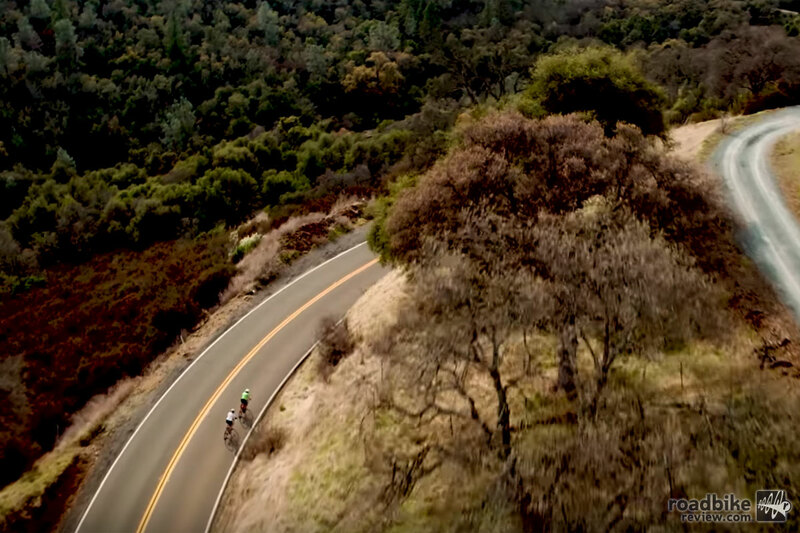 The Amgen Tour of California is designed to cover a variety of terrain, allowing different types of specialists among the field of the world’s greatest cyclists to shine throughout the week. 2018 will mark the third time the race will run south to north. “I like racing as well as training in California – I can see the beach and do altitude training all in one place. I’ve always had a really good time at the Amgen Tour of California and am excited to compete this year,” said Marcel Kittel, who claimed the opening stage last year. With parts of the state still impacted by wildfires and subsequent mudslides, affected portions of the route will be inspected up until race time, and race routes are subject to change to ensure fan and rider safety. Long Beach hosted the overall race finish in 2007 and will stage an epic return with the overall start of the 2018 Amgen Tour of California. The city joins an elite group that includes Santa Rosa, Sacramento and San Diego in having hosted both a race overall start and overall finish. 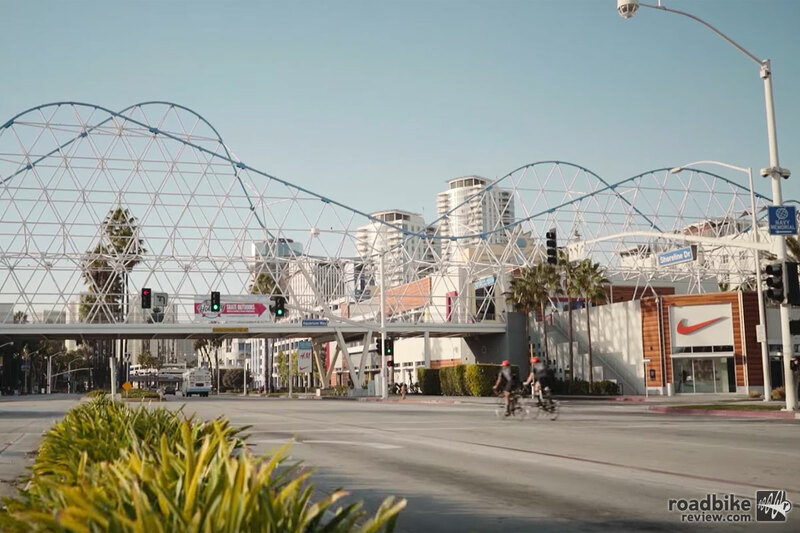 The 7-mile circuit will start and finish on Shoreline Drive near Shoreline Village and the Long Beach Convention Center. The 11 laps of the circuit will utilize portions of Shoreline Drive, Ocean Blvd. and Pine Avenue. 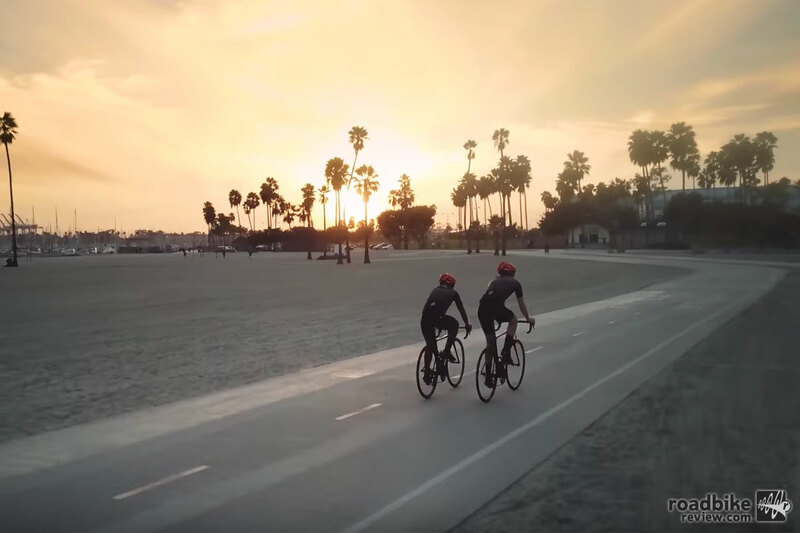 Several Long Beach neighborhoods will get a ring-side seat as the peloton races through Bixby Park and Bluff Park, as well as Retro Row and Downtown. Gibraltar Road has been the most requested mountaintop finish since the race began. After the mountain road was paved and therefore able to be contested in the 2016 race, it became an instant fan favorite. The moment the race finished, the chant began for “more…more…more!” In 2018, Gibraltar is back! The City of Ventura warmly welcomed the race in 2016 as the peloton bid a quick hello passing through to Gibraltar. This year, Ventura will host its first stage – the start of the “Queen Stage” just a few feet from the Pacific Ocean near the Ventura Pier. Will the riders be relaxing and taking in the sun at the start? Probably not. Most will be thinking about the coming assault of Gibraltar Road. After a neutral parade route through downtown Ventura, the race will head through Oxnard, Santa Paula and Ojai. The riders will climb out of Santa Paula to the first of three King of the Mountain climbs (KOMs) on the day. The 96.3-mile stage has 7,700′ of elevation gain, with the journey to the top of Gibraltar featuring a 3,100′ climb over the final eight miles of the stage. As with any of the race stages, routes are subject to change due road damage. With the recent fires and flooding in Ventura and Santa Barbara Counties, there will likely be changes to a section of the Stage 2 route that passes through Camarillo and Montecito as several bridges are being assessed for repair or replacement. The Amgen Tour of California welcomes King City to the race family as a first-time host to kick off Stage 3. Featured prominently in Steinbeck’s epic novel “East of Eden,” King City is well positioned to be a pivotal part of this grueling stage. Many of the riders will be looking for an easy day of racing after the finish the day before on top of Gibraltar Road. They will have to look elsewhere. For the second time in race history, the peloton will streak to a fast and technical finish on the racetrack at the Mazda Raceway Laguna Seca, one of the most revered motor racing venues in the world. The stage will feature six KOMs over 123 miles and 8,300′ of elevation gain. The final KOM will overlook the finish. After a descent down Laureles Grade to the perimeter to the racetrack, the racers will face a .6-mile, 16% climb to the track entrance, then two challenges on the track that will play a factor in the finish: the final climb of the day up to Turn 6 and “The Corkscrew.” The Corkscrew is a one-of-a-kind turn in motorsports, featuring an 18% descent that drops 5 ½ stories in just 450 feet! This will be the race’s third Time Trial contested on the outskirts of Silicon Valley. First-time race city Morgan Hill will host the start and finish of the “Race of Truth” where riders take off individually in a race against the clock. The 21.6-mile route will feature one moderate climb with the start and finish within a few feet of each other on Monterey Road. As always, wind could be a factor on the route. The course will head out of Morgan Hill on Dunne Avenue and then pick up Oak Glen Road around the north side of Chesbro Reservoir to McKean to Bailey to Santa Teresa Blvd. From there, riders will head due south onto Hale Avenue and finish on Monterey Road. This is a valuable day where the leader board can see dramatic changes – every second counts. Riders with top times coming out of the day will still have to defend their positions over the next three stages, including the grueling Stage 6 and the HC climb up Kingsbury Grade. For the next three stages, the men will share the spotlight with the Women’s WorldTour event. About an hour after the women kick off their Stage 1 start in Elk Grove, the men will be at the start line near the waterfront sports arena in Stockton, which returns to the race for the first time since 2007. The race will head northeast into the historic gold mine area around Amador County, Buena Vista and the town of Ione. With just one small climb on the 110-mile stage, the peloton will be looking forward to a flat and fast day that will most certainly see the teams positioning their sprinters for an exciting finish in Elk Grove at the new Aquatic Center. The City of Folsom hosted Time Trials in 2014 and 2016. For 2018, this daunting stage will start with a pass of Folsom’s newly completed the Johnny Cash Trail, a unique 3-mile trail that honors the memory of the singer and his historic performance at the Folsom prison in 1968. Then the fun begins – 123 miles featuring more than 16,000 feet of climbing, four KOMs (including Kingsbury Grade for the first time) and an uphill finish. The elevation in Folsom is just 275′. 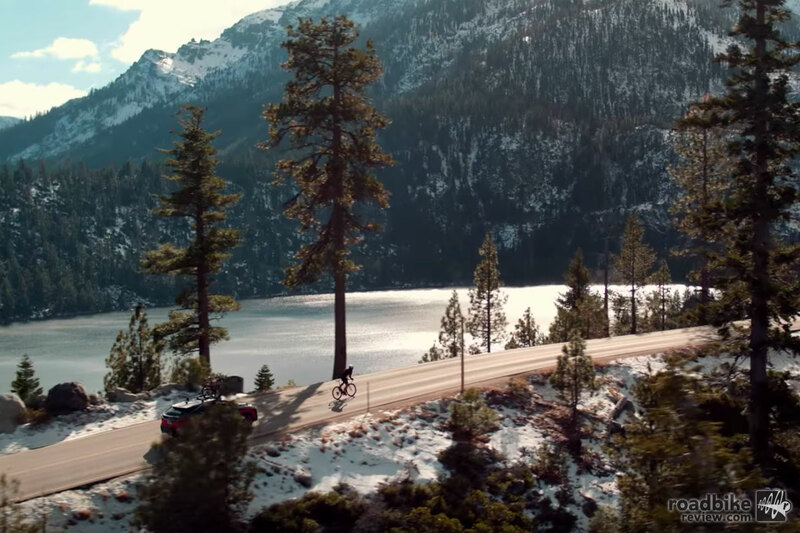 The racers will see 8,600′ as they crest Carson Pass and will finish in South Lake Tahoe at Heavenly at 6,600′. Regarded as one of the most sports-friendly cities in the country, Sacramento welcomes the Amgen Tour of California for the ninth time. The festivities start with the men rolling across the iconic Tower Bridge into race-friendly West Sacramento. An hour later, the women will begin their final stage of a three-day race on the Capitol circuit. After passing through West Sacramento, the men will follow the Sacramento River into the city of Woodland then traverse several rural roads in Yolo County. A quick sprint in Winters will see the race turn east and toward the final finish to Sacramento. This 90-mile stage is a sprinter’s paradise – no KOMs and virtually no elevation gains. Race fans will be rewarded with the peloton barreling down L Street to the finish line and the start of three loops around the infamous Capitol circuit to conclude the 2018 event in the shadow of the State Capitol Building. Sacramento has never failed to deliver one of the most exciting race finishes on the WorldTour Calendar, and the week’s big winners will be recognized in a special ceremony immediately following the race. The women’s opening stage returns to the City of Elk Grove, which made its first race appearance last year, this time beginning and ending in front of the new Aquatic Center and Commons on Civic Center Drive. The race will head west then south to the Sacramento River and the California Delta region. This is an 80-mile day with two Sprints and no Queen of the Mountain climbs (QOMs) – a very fast and flat route that should guarantee a day for the sprinters and an exciting finish back in Elk Grove. Soon after, the finish of the men’s Stage 5 will come down Civic Center Drive. Similar to 2017, the women’s overall will be contested on the high-altitude Queen Stage in South Lake Tahoe, which features one of the biggest climbs in the UCI Women’s WorldTour. The racers will head west from Heavenly Mountain Resort for the start of this 70-mile stage then turn south on CA-89 and over the 7,740′ summit of Luther Pass where they will meet the first of the day’s three QOMs. A quick descent will take the riders into the spectacular Carson River Basin and on a loop through the Washoe Reservation before heading northeast into Nevada. A left turn will take them north on Kingsbury Grade. The “Grade” had never been attempted in any previous Amgen Tour of California stage…until 2017. This 8-mile climb gains 2,700′ in elevation, with riders encountering the second QOM at an elevation of 7,400′. The descent back to South Lake Tahoe will provide beautiful views of the lake and the surrounding mountains. The final QOM of the stage will deliver the riders to the finish at Heavenly Mountain Resort. The Capitol Circuit has quickly earned the reputation as being one of the fastest and most technical courses in the country. This flat 2.2-mile course features six turns. It encompasses the State Capitol Building and passes several other notable state government buildings. This 90-minute race will begin shortly after the departure of the Men’s Stage 7. Both races will crown their overall champions following stage conclusions. For more race beta head over to www.amgentourofcalifornia.com. 5 Cycling Legends - Where are they now?